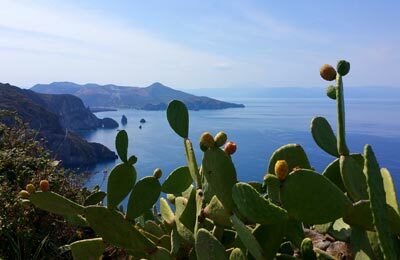 The small but scenic volcanic island of Panarea is part of the Aeolian Islands on the south-west of Italy. SNAV operates connections to Naples, while Liberty Lines links Panarea with the other Aeolian Islands. 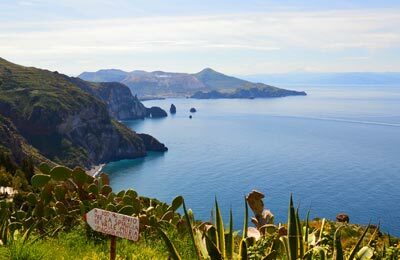 Below you can find all the Panarea ferry timetables, journey times as well as our best and latest prices. SNAV ferries is a major ferry company in the Mediterranean that links Italy, Greece and Croatia. SNAV has the latest and the fastest fleet in the Mediterranean largely made up of hydrofoils and catamarans capable of high speeds while still offering comfortable journeys. On board their modern air-conditioned ships, you will find all the necessary facilities as well as snack bars and cafes. Liberty Lines runs a fleet of 25 high-speed vessels, each ship equipped with air-conditioned rooms, TV, music, reclining seats and an onboard bar serving refreshments and snacks. The fastest ships can reach speeds of 36 knots. Year round, there are only around 300 residents but in the summer months the population swells dramatically as tourists flock in. The island is also famous for being a popular destination amongst the celebrity jet-set, so don't be surprised if you come across a few paparazzo during you stay. It is therefore necessary to book accomodation far ahead to be guaranteed somewhere to sleep during the summer months. Facilities are minimal, but there will be a good choice of restaurants and cafes within walking distance of the ferry port. It shouldn't be too hard - the island doesn't even have roads. Just aim for where people are and you should be able to see the port.